Customer feedback is one of your company’s greatest sources of information and learning. Using information from customer feedback, you can gain valuable insights essential to improving your brand, products, services, and overall customer experience. Often, companies that are able to efficiently listen to customer feedback also have a more complete understanding of their customers and can more easily measure customer satisfaction and loyalty. Customers can share their feedback freely via online review websites or social media. 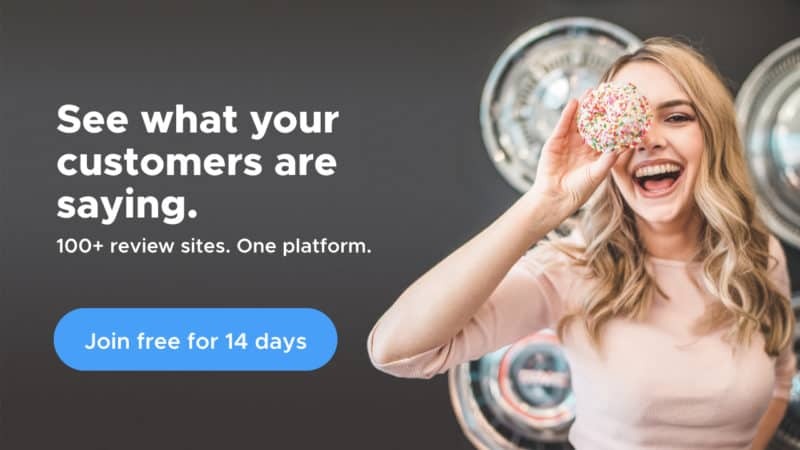 But you can also proactively capture and collect customer feedback using surveys, forms, comment cards, focus group discussions, and interviews and roundtables. With customer experience being one of the most important benchmarks today, growing your business requires relentlessly focusing on your customers. How do they really feel about your brand? What are their wants and needs, their thoughts and opinions? Does your product or service solve their problems and meet their expectations? Will your customers recommend your company to their friends and family? To answer these questions, you must ask your customers. Here are examples of customer feedback questions you can pose in your next survey or campaign. On a scale of 0 to 10, how likely is it that you would recommend our company, product, or service to a friend or colleague? 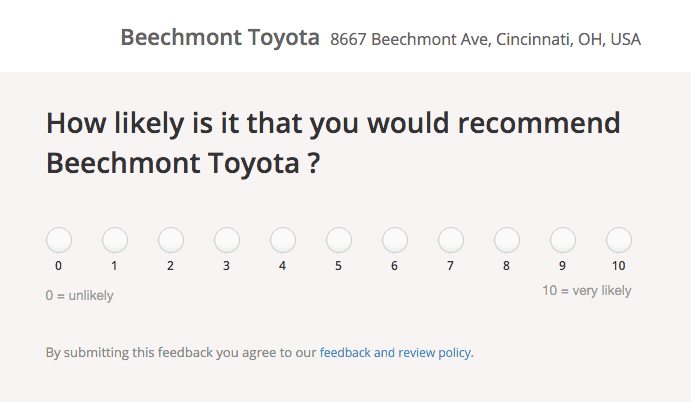 This customer feedback question is often used to gauge the loyalty of a customer to your business. It is also the question that you’ll find in every survey that utilizes the Net Promoter Score (NPS) methodology, first introduced by Frederick Reichheld in his 2003 Harvard Business Review article, “One Number You Need to Grow”. The responses enable companies to categorize customers into Promoters, Passives, and Detractors. To calculate your Net Promoter Score using this customer feedback question, simply subtract the percentage of Detractors from the percentage of Promoters. Passives (score 7-8) are satisfied customers, but their lack of enthusiasm may render them vulnerable to offerings from your competitors. You can develop your own loyalty metrics using alternatives to this customer feedback question. For example, instead of the 0-10 scale, you can use thumbs up/down ratings, or even smiley/frown emojis to gauge how happy, satisfied, and loyal your customers are. What product or service features do you wish we had? Part of successfully delivering 5-star experience is anticipating, even forecasting, customer needs and wants. By asking this open-ended customer feedback question, you’re empowering the voice of the customer and letting it help build your roadmap and customize products and services based on the needs and wants of your customers. Remember: great businesses separate themselves from good ones by striving for continuous improvement. So, even if you already have a high Net Promoter Score, or your online reviews are all rated 5 stars, still make it part of your strategy to ask customers what you could do better (before your competitors do it first). This is one of the most useful customer feedback questions to ask, because the response will help you evaluate your marketing channels and decide what to focus on when you continue to build out your business and brand presence. Maybe the customer found you on Yelp or TripAdvisor. Or perhaps a friend of theirs had recommended your business. Or maybe it was a random Twitter mention, a Google local search result, or Instagram #hashtag that led to the customer walking through your doors and wanting to try your business. Knowing where your customers first heard about you, and how, will help you refine your marketing message, so that the voice of your brand speaks the language of your customers. If you were unhappy with your experience, what can we do to get you to come back? Solicited or unsolicited, customer feedback is a reflection of a consumer’s genuine desire to engage with a business. Regardless of whether their feedback was shared in an online review, a social media comment, a survey form, an email or a phone call, you must remember that your customers want to be heard individually and addressed personally, and that you must take part in the conversation. Negative feedback, in particular, warrants a response from your business. And that response should include extending an invitation for the customer to come back and give you a second chance. By asking customers what you can do to get them to come back, you are demonstrating that your business cares about their feedback, and that you are committed to making the improvements necessary to providing a better experience. Of course, this customer feedback question also creates structured opportunities for you to uncover critical issues and resolve them before they become public or turn into a negative online review. How was your experience interacting with our staff? Negative reviews about customer service can deal a serious blow to your online business reputation. By asking this customer feedback question, you can more accurately view the experience of your customers from their perspective. Was the customer greeted in a friendly manner? Did the staff promptly and satisfactorily answer their questions? What improvements can you make to your customer service training program? By incorporating the responses to these types of customer feedback questions into your customer service model, you’ll be able to more effectively communicate and build trust-based relationships with your customers, helping drive business performance and positive bottom line impact. You’ll also like our complete guide to the Customer Experience Survey. I think these are all wonderful questions to ask because they let you learn something about your customer’s preferences. It allows your business to better their current products or services and also allows for new ideas that could be integrated into the business. I think customer feedback is very important in keeping up to date with the consumers.